Get your One-Time Free Introductory 20 minute Healing Spectrums Coherence Activation Session when you sign up for the Healing Spectrums Newsletter! As a subscriber, you will be able to arrange for your initial Free Introductory 20 Minute Healing Spectrums Coherence Activation Session. And now you can easily keep up to date on the latest Healing Spectrums research, upcoming events and get exclusive special session and workshop discounts, select offers and much more. 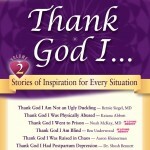 You will also receive the special link to access my Free Audio Book, Thank God I Died: An Extraordinary Story of Death, Life and Healing. Your free introductory 20-minute session with Thomas (regular personal sessions are 1-hour or longer with follow-up consultation) is an ideal step toward creating a powerful shift in the quality of your physical and emotional health and well-being by enlivening coherence within your physiology and accelerating your body’s natural healing processes. If you are new to the Healing Spectrums, then this is a great way to gain some initial experience with it and to be able to share your experience with Thomas after the session and ask any questions you may have.